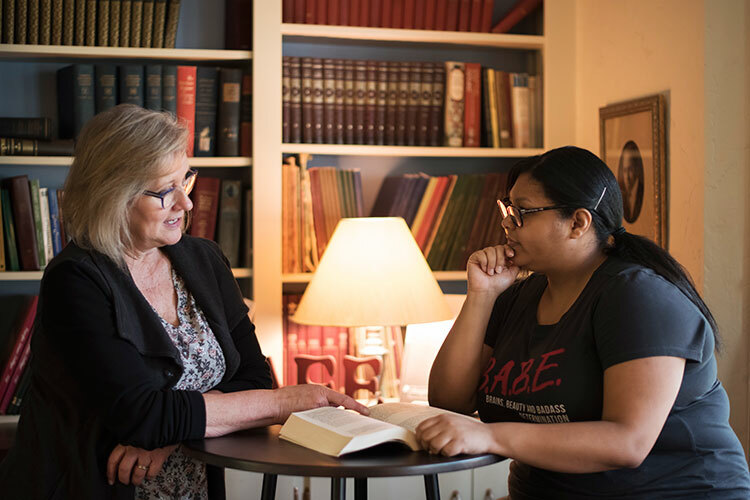 The Honors Program at Pacific Union College provides classes which depart from a traditional lecture format, encouraging students to develop their analytical thinking, aesthetic appreciation, and their spiritual lives. As Hill points out, post-graduate admissions committees recognize that "Honors" on an application is a mark of the applicant’s willingness to focus on learning, to step beyond the comfort zone, to accept a challenge, and to excel. Charles De Guzman, first-year medical student at Loma Linda University, reports "Because of the skills I’ve gained through the Honors Program, I did not study for the ‘Critical Analysis and Reasoning Skills’ portion of my MCAT and I still ended up scoring within the 90th percentile. Many of my Honors classmates have also had similar experiences, breezing through the reading comprehension sections of other graduate school admissions tests like the DAT, LSAT, and GMAT." One of the required courses is Leadership Theory and Application, currently taught by John Nunes, professor of business. A combination of problem-solving and theory, the course engages students with the practice and philosophy of useful service and leadership responsibilities. Honors seminars cover a variety of topics, often interlacing more than one discipline. For example, “Analyzing the Arts,” taught by Asher Raboy, resident artist in music, examines visual art, music, and literature, considering how these different genres provide windows into who we are. “Classes in the Honors program are designed to encourage you to really pull apart what you know, examine it critically, and then apply it to different contexts," says Dominique Townsend, English major Honors student. "I've seen this methodology leak into other areas of my academic and personal life, too. For example, my writing has grown to often include elements of current events, social milieus, and semi-related fields which others might not have immediately associated with the text, mostly because of my involvement with the Honors program." Another hallmark of PUC Honors is an independent project, one that reflects personal interests. A recent graduate's study of the increase of the plague in Madagascar combined Ella Melnik’s interest in politics, epidemiology, and culture. Her project contributed to landing an internship at University of California-San Francisco's cancer research lab, and into the PhD program at Sloan Kettering Cancer Research Institute, complete with apartment overlooking Central Park in New York City. "These projects are always pretty spectacular because Honors students aren't good at not being good," Hill says with a laugh. "The projects give a place to confront what they don't know; it becomes a way for students to showcase how they've grown and to demonstrate their expertise." "We ask the big questions that don't have easy answers or don't have answers at all," she says. "But we're going to grapple with the issues anyway, because it's an important way of thinking." "Hopefully everyone has a few 'aha' moments at PUC, whether they're in Honors or not," says Hill. "But we're particularly intentional about that in our program. Students aren't just exposed to different ideas; they encounter new ideas up close and personal. It's a transformative experience." For information on how you can become part of PUC's Honors Program, or to learn more about what involvement entails, visit puc.edu/honors or call (800) 862-7080, option 2 to talk with an enrollment counselor.